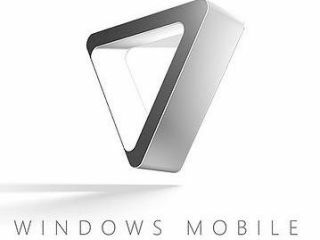 Windows Mobile 6.5 phones will come with voice command technology built in, provided by Microsoft subsidiary TellMe, the company announced today. The TellMe experience for smartphones will apparently be the first to allow people to press one button, say what they want and get it, whether that is to send a text, make a call or search for information. Windows phone users will just press the side button of their phone to, for example, send a text by saying 'text' to open blank screen, speak the message, then say 'send' to send it to anyone in their contact list. They will also be able to search the web by saying 'weather in London', 'curry in Birmingham', 'films', or 'Mother's Day present ideas'. It will utilise GPS or network-based location data to narrow results. However, as you might expect, the search function will be tied to Microsoft's Live Search engine. TellMe did some research and found that it requires four touches and more than 20 keystrokes to find a business with the Apple iPhone, (er, unless you use the Google Mobile App) while it only takes one button push and one verbal command to find the same business with Tellme. Another recent study, conducted by Sanderson Studios, found that over 70 per cent of people preferred voice control to keypad or touch-based interactions. "I think you said 'polish my artichoke'"
TellMe, which was bought by Microsoft two years ago, already has a voice search application for BlackBerry phones and powers "billions" of voice menu phone calls every year. Tellme will be available for free for Windows Mobile 6.5 phones when they arrive in the autumn. Initially available in the Windows Marketplace for Mobile store, the service will also be available for free to mobile operators and phone manufacturers to embed on-device for a voice experience right out of the box.